The air you breathe is essential for survival, and air purifiers and humidifiers can help make that air not only cleaner, but also easier on your lungs. Especially in the winter time as the temperature cools and humidity levels drop, reintroducing moisture into your home is essential for your comfort – not to mention any houseplants you might have. And filtering the air of any airborne pollutants can also help keep you and your family healthy during the winter months. Most people find that a comfortable humidity level is somewhere between 40-60%, but our homes can get as low as 10% relative humidity in the winter time due to running our heating systems. Running a humidifier in your home during this time can help prevent dry skin, coughs and congestion and even reduce static electricity. 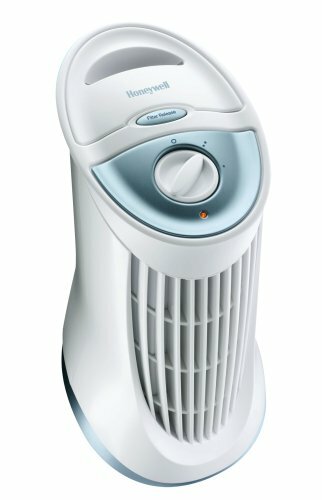 In no particular order, here are 50 of the best air purifiers and humidifiers available today. 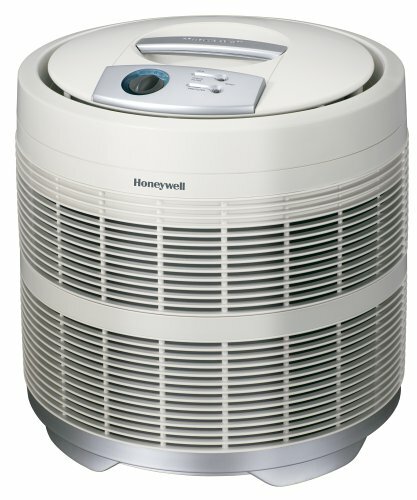 This round-shaped air purifier from Honeywell is ideal for cleaning the air in larger rooms (up to 390 square feet) and features a True HEPA filter to remove up to 99.97% of common airborne pollutants. The electrostatic dust collecting rod in this ionic air purifier is easy to remove and clean, plus there’s no expensive filter to keep replacing, so it can help save you money in the long run. 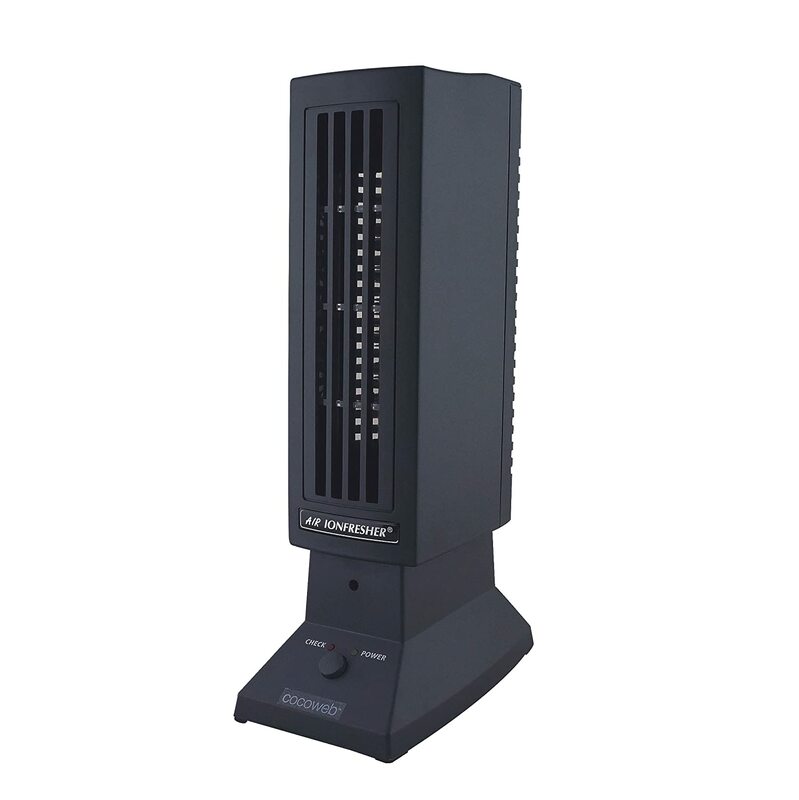 Remove up to 99.97% of the allergens in your home including dust mites, pet dander and more with this air cleaning system featuring a True HEPA filtration system. This air purifier features ultra-quiet operation, so you won’t even know it’s there. There’s no need to purchase costly replacement filters as you can simply vacuum the unit clean. 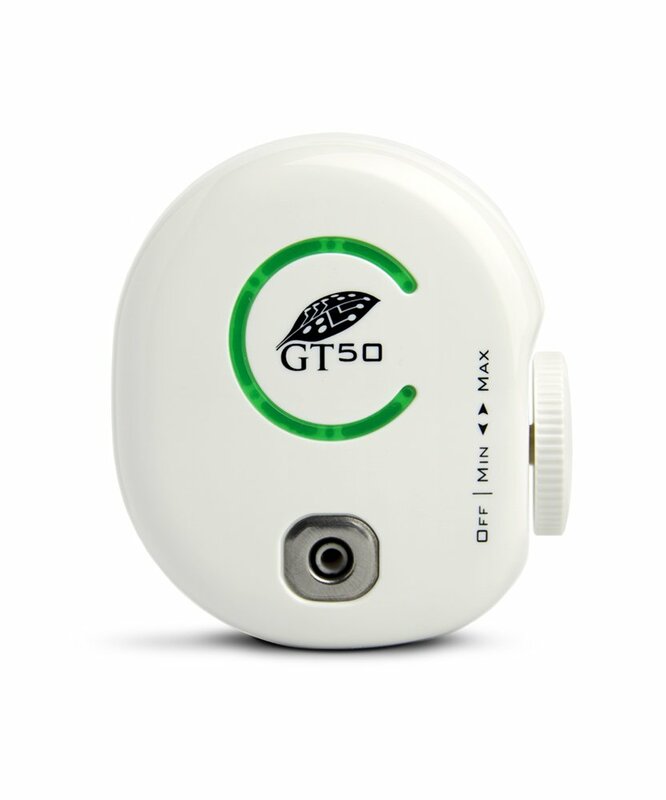 This workhorse captures up to 99.99% of airborne pollutants as small as 0.3 microns! A washable carbon filter captures even the most powerful odors such as cigarette smoke and pet smells. This air purifier is so smart it’s constantly checking and adjusting to your home’s air purification needs. Whisper-quiet operation ensures that even when it’s working hard, you won’t hear it. 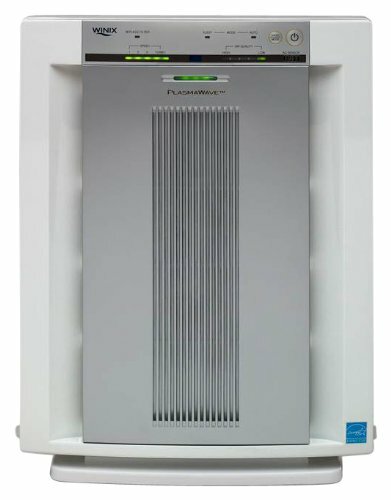 This unit kills up to 98% of airborne bacteria and viruses and mold spores and contains no costly filters to clean or replace. 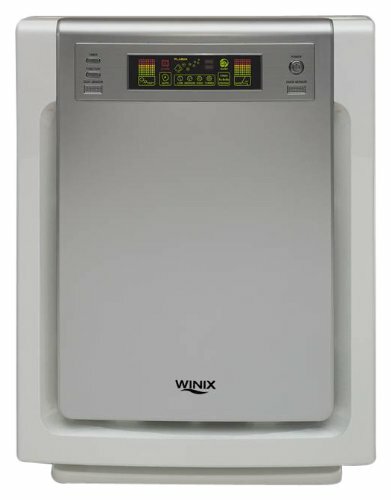 This desktop air purifying system is powerful enough to remove up to 99% of airborne pollutants and comes with three speed settings to choose by cleaning the air in the most efficient manner. This unit works hard to keep your room smelling clean and fresh thanks to three carbon filters that work to help trap and neutralize even the toughest odors. 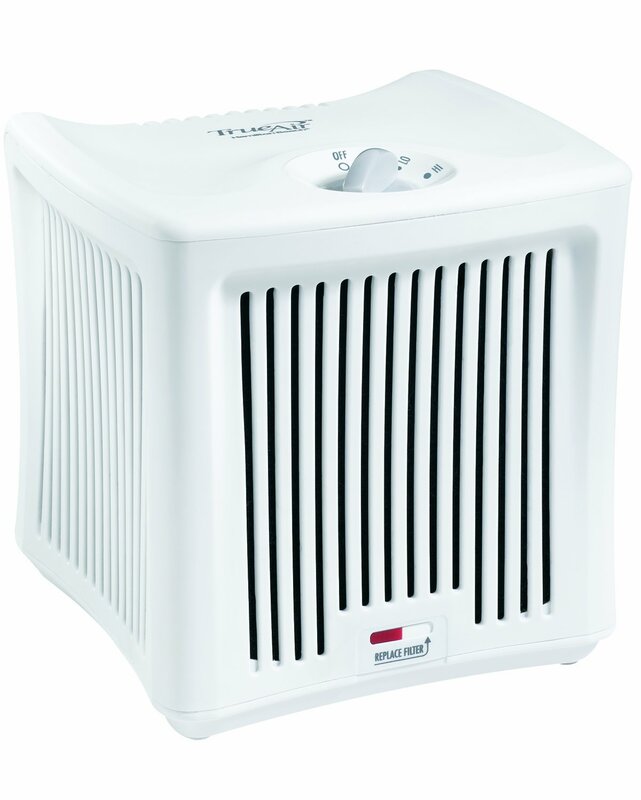 Ideal for small and medium-sized rooms, this 3-in-1 air purifier helps remove up to 99.97% of common household allergens including pet dander, pollen and dust mites thanks to its True HEPA filter. 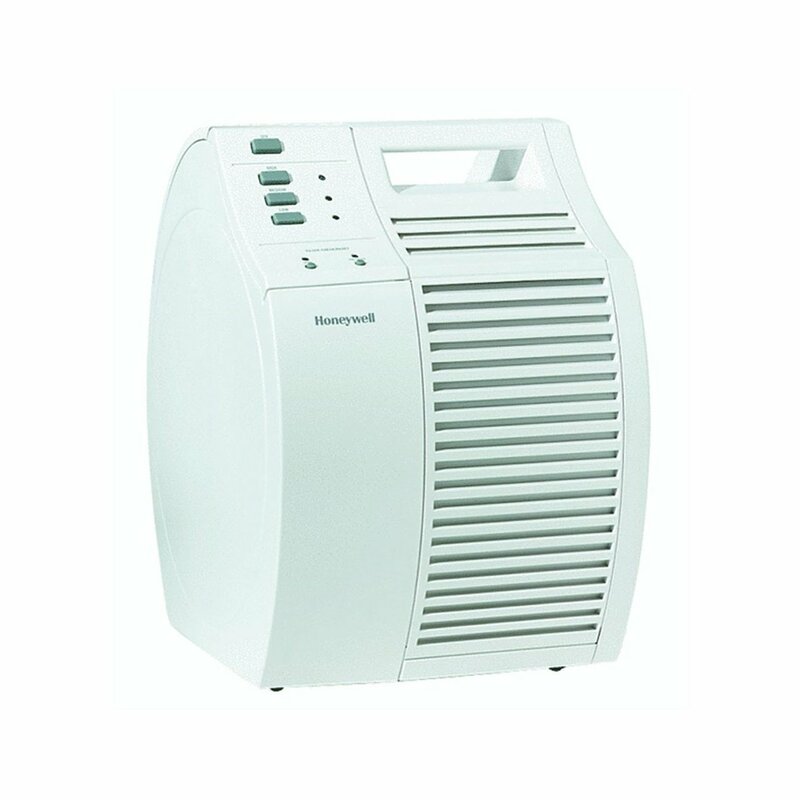 Perfect for filtering medium-sized rooms, this air purifier features a permanent IFD filter to effectively remove up to 99% of airborne pollutants. 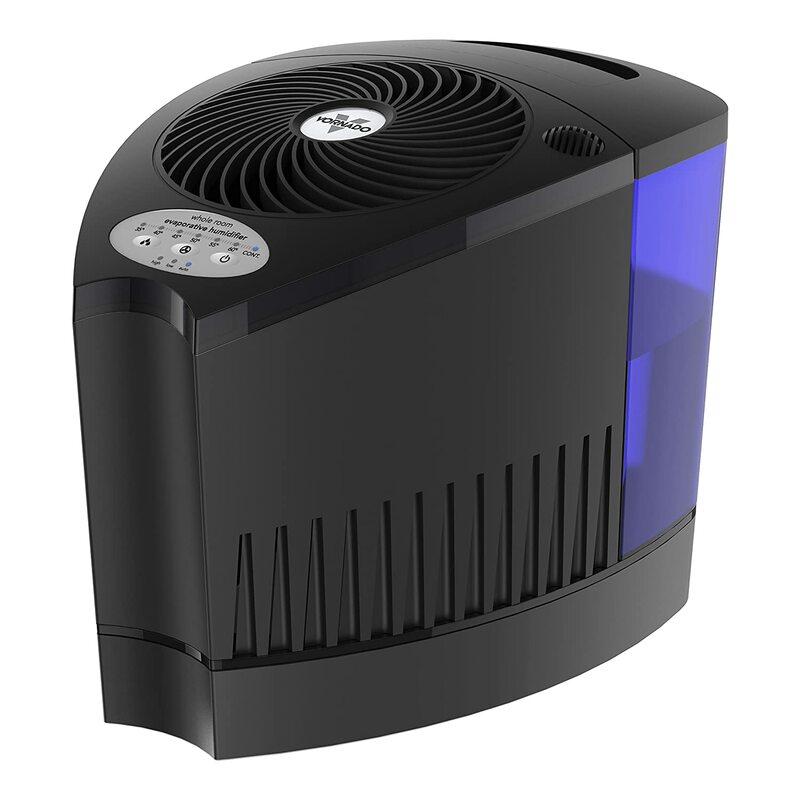 This Energy Star-approved air purifier features three-stage air cleaning to help remove up to 99.97% of airborne pollutants and allergens. 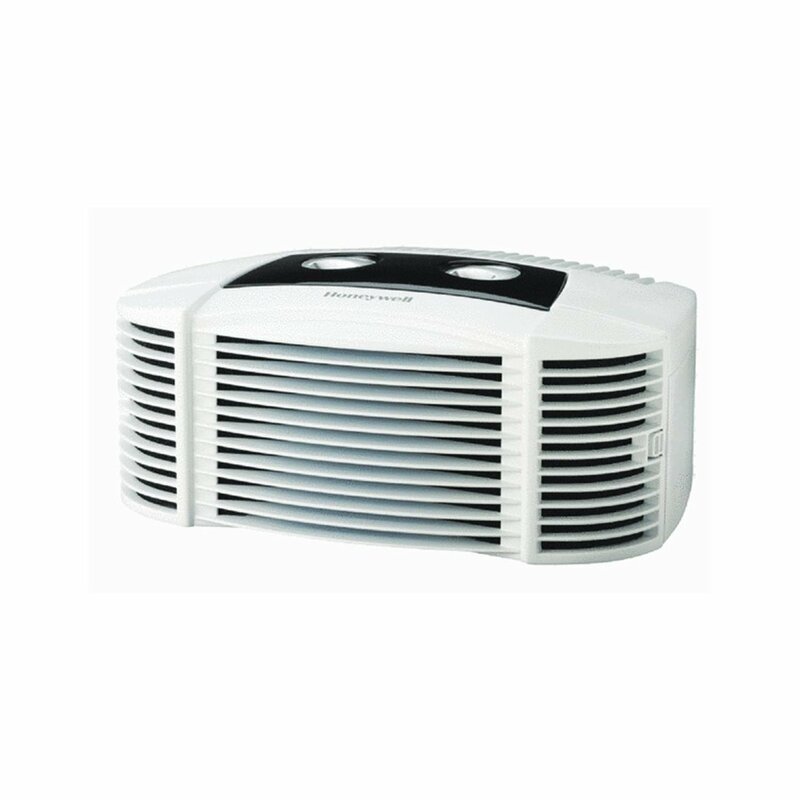 Dust, smoke, pollen, odors, pet dander, mold spores, and more, are no match for this unit. This portable air filter works to remove up to 99.97% of all airborne particles, making the air you breathe that much purer and cleaner. It’s so quiet, you’ll forget it’s even running. 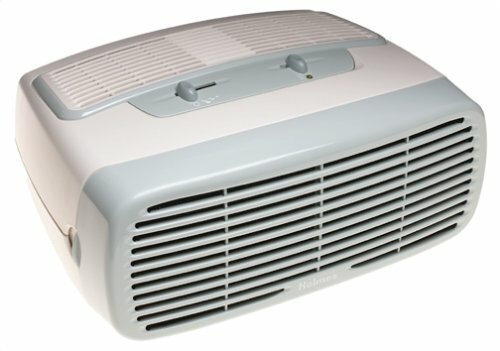 This ultra-quiet model has easy-to-use controls and four fan speeds – plus it has turbo and sleep modes, so you can always ensure that the air you’re breathing is safe and clean. This air purifier is the ideal choice for pet owners, as it removes up to 99% of airborne allergens (including dander) while also removing Fido and Fluffy’s offensive odors from your air. 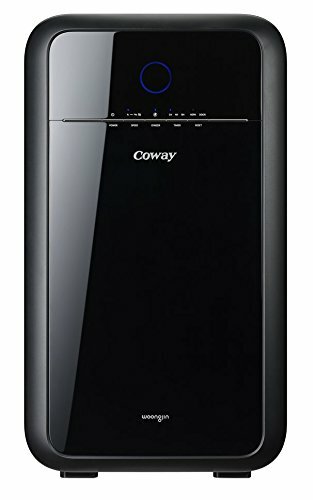 Ideal for small rooms, this slim, attractive tower-design air purifier packs enough whisper-quiet filtering power to remove up to 99% of harmful indoor air particles. You can breathe easy knowing that 99.97% of airborne pollutants and allergens are being filtered from your home with this air purifier. 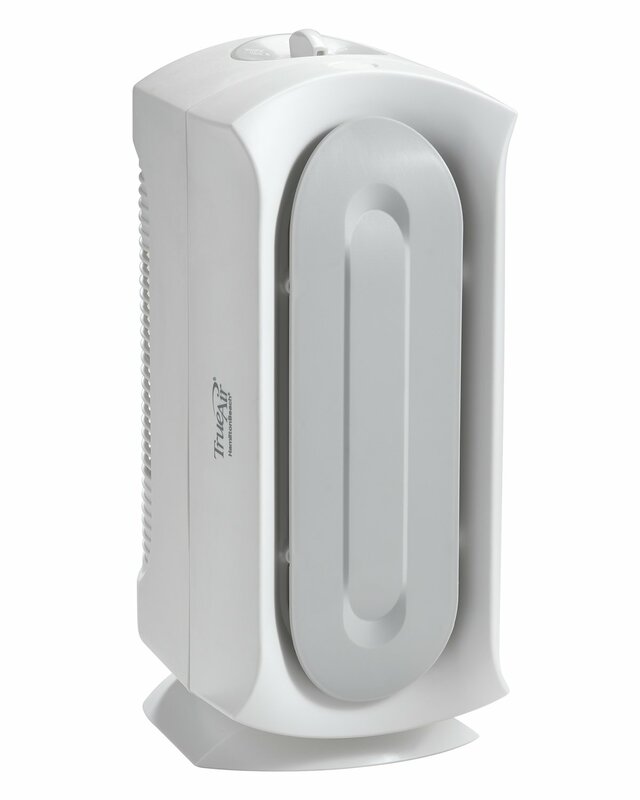 A special long-life HEPA filter ensures your air is clean for a long time. This portable desktop unit is perfect for small spaces and features a built-in ionizer to tackle even the most stubborn household odors while cleaning and freshening the air in your home. 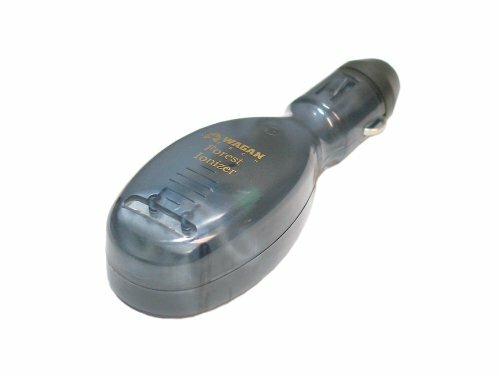 Eliminate unwanted odors from your vehicle with this on-the-go air purifier that plugs directly into the cigarette lighter inside your vehicle. It starts working instantly and you won’t even know it’s running. This professional-grade ionic air purifier is perfect for small spaces and features an adjustable control knob to select whatever cleaning power your home needs at any given time. Adjust at any time quickly and easily. 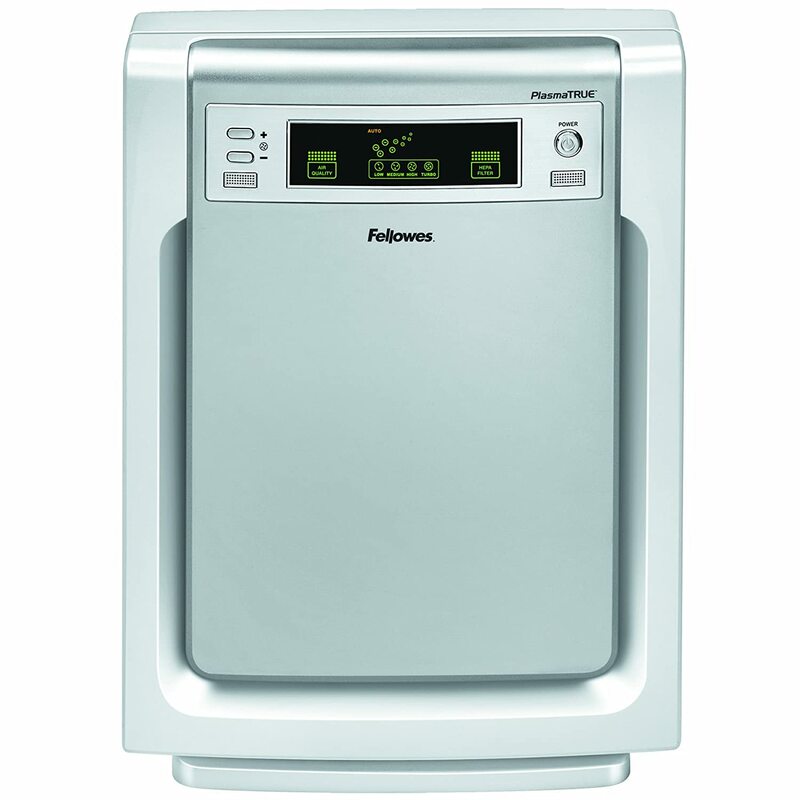 This air purifier unit also features an odor-reducing filter to capture and clear up to 99.9% of your homes airborne pollutants. Its sleek design ensures a seamless fit into your home’s decor. 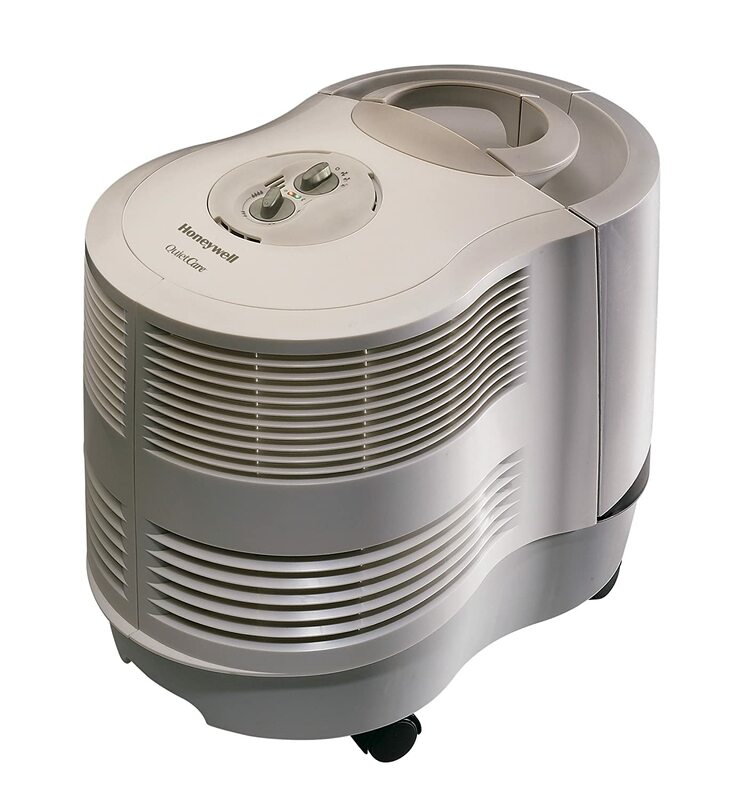 This reasonably-priced unit is so powerful it can clean up to 1,000 square feet of your home while removing common allergens and unwelcome odors from the air. 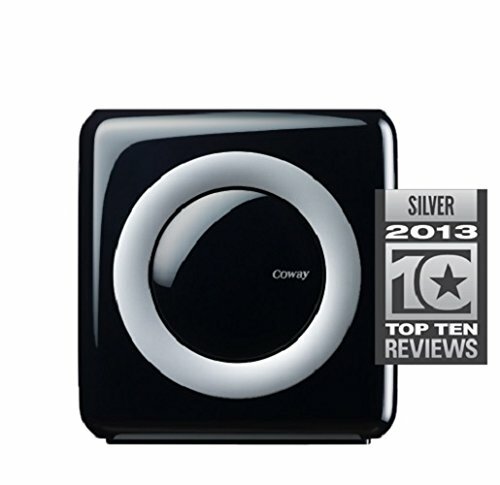 While this air purifier might be small in size, it more than makes up for it in cleaning and filtering power. 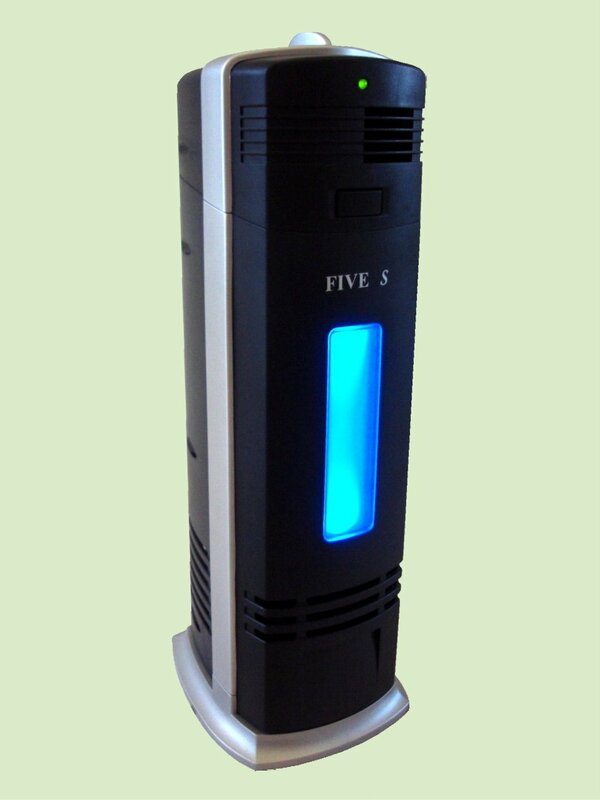 It uses a four-stage filtration system to remove up to 99.97% of airborne allergens from your home. This smart air purifier is continually monitoring your home’s air quality to ensure the best air filtration possible, and thanks to its True HEPA filter it removes up to 99.97% of airborne particles. 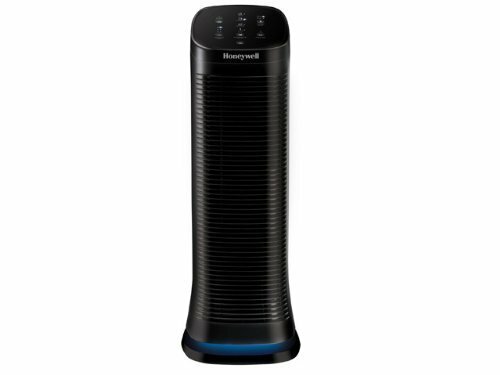 This air purifier is one of the most effective models on the market, thanks in part to its long-life HEPA filter and two additional filtration stages. 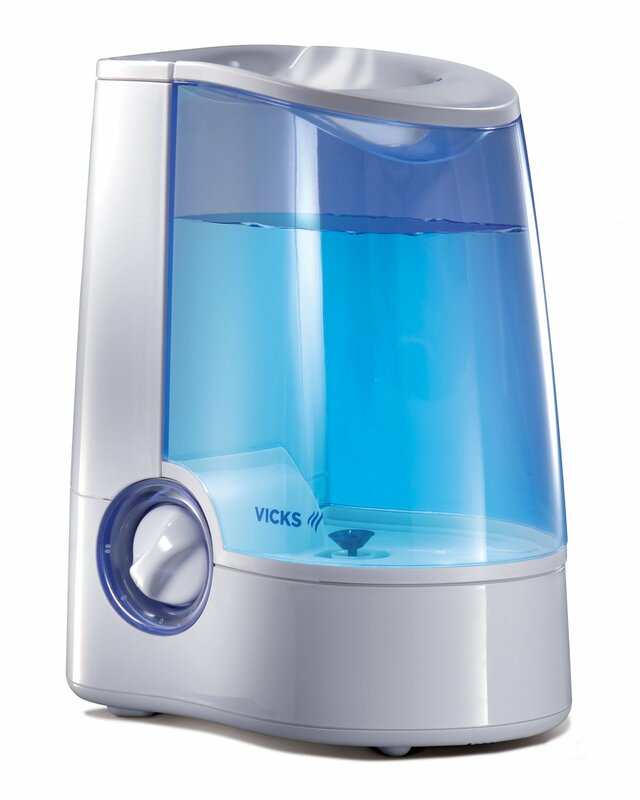 This cool mist humidifier features germ-free mist, killing up to 99.9% of bacteria and mold spores in the water thanks to its patented germ-killing technology. 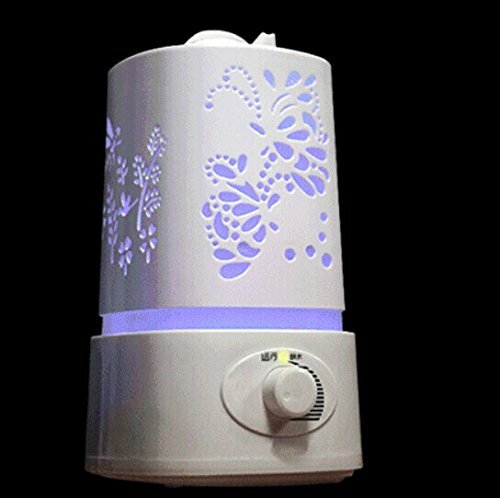 Choose from seven different color combinations to suit your personal style, this humidifier is ideal for medium- to large-sized rooms. 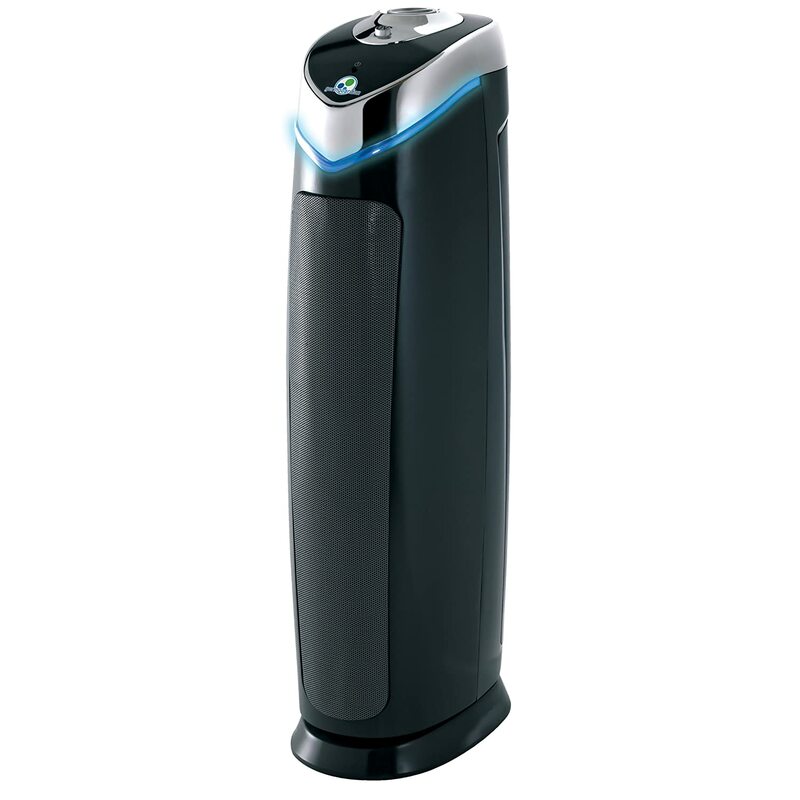 It features auto-shut off and 360-degree mist nozzle to effectively add moisture back into your home’s air. 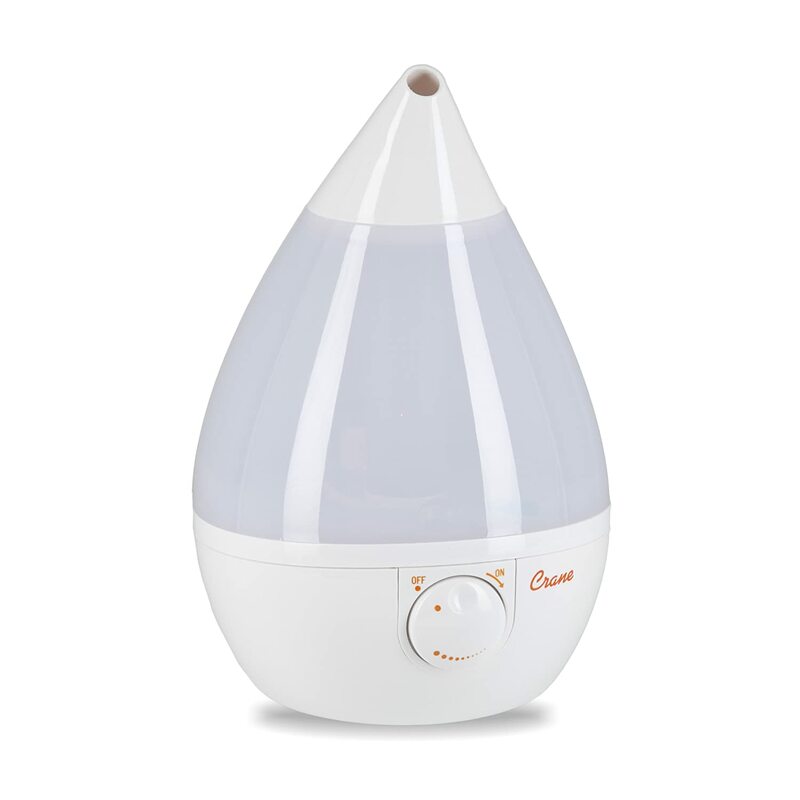 This humidifier lets you choose between soothing warm or cool mist options and is ideal for use in extra large areas up to 600 square feet. 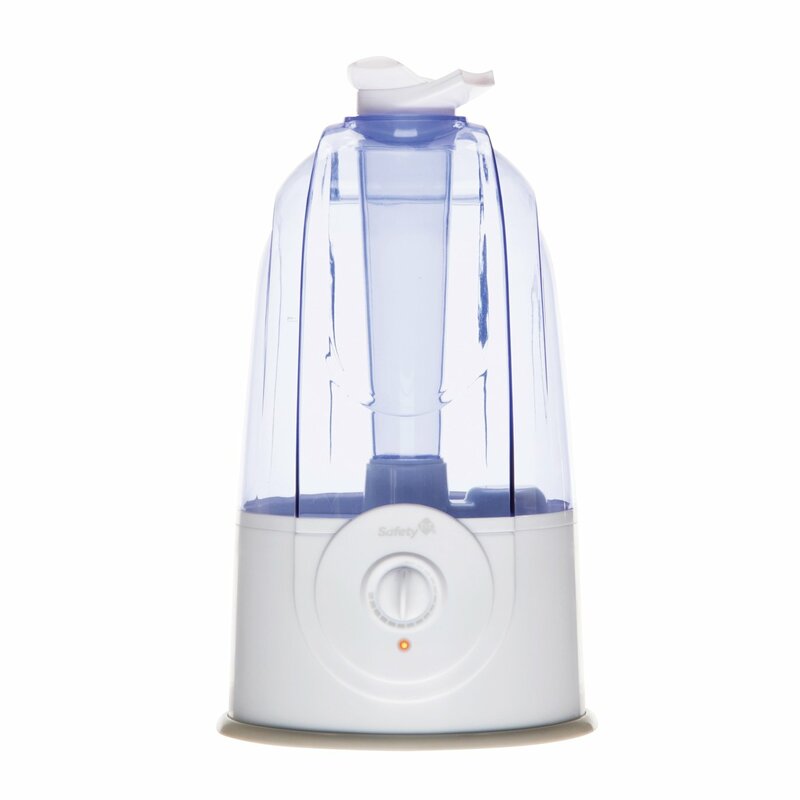 This sleek, compact humidifier runs for up to 12 hours between fillings and features an auto-shutoff to help save you energy. 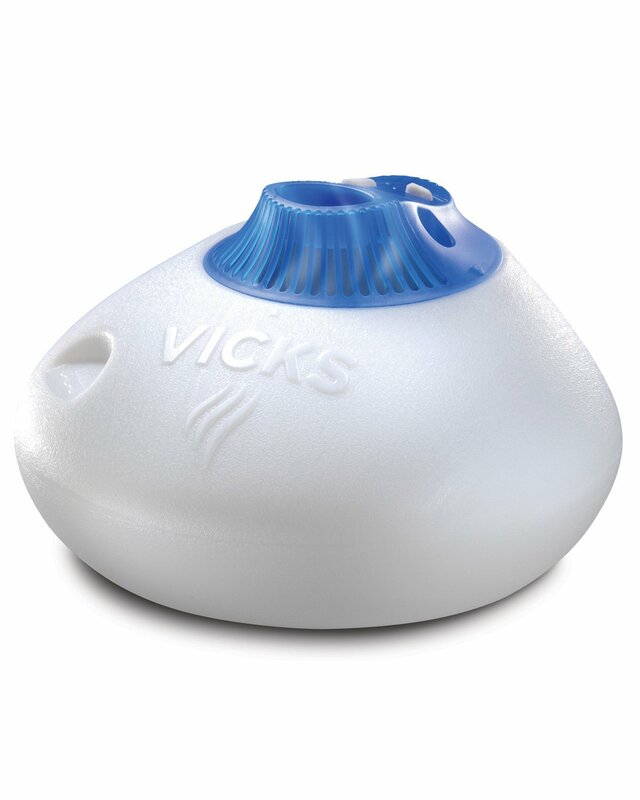 There’s even an option to add Vicks Vaposteam or Kaz Inhalant to produce a soothing medicated vapor. 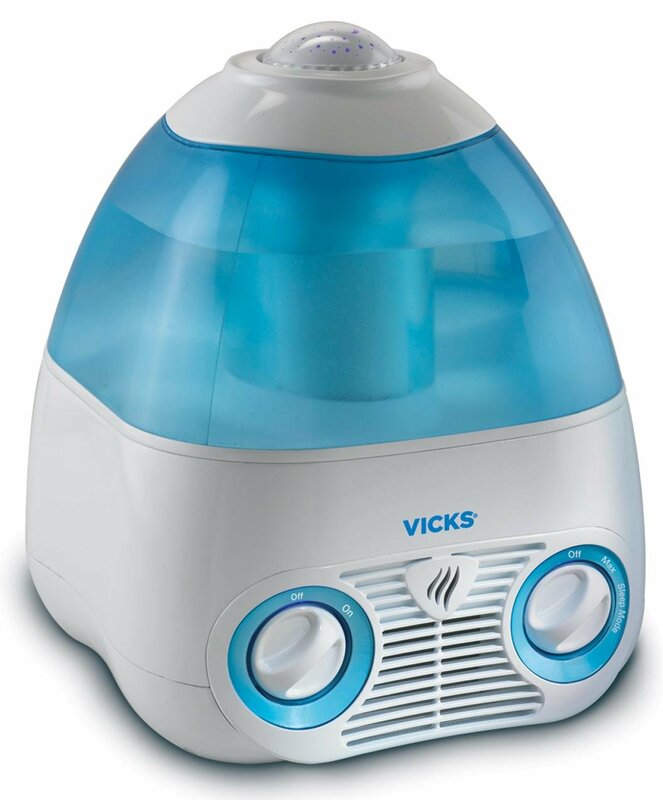 The quiet operation of this unit makes it an ideal choice for use in your child’s room to create a soothing mist. Automatic shut off and up to 12 hours of use time between fills means that your family will sleep easier. 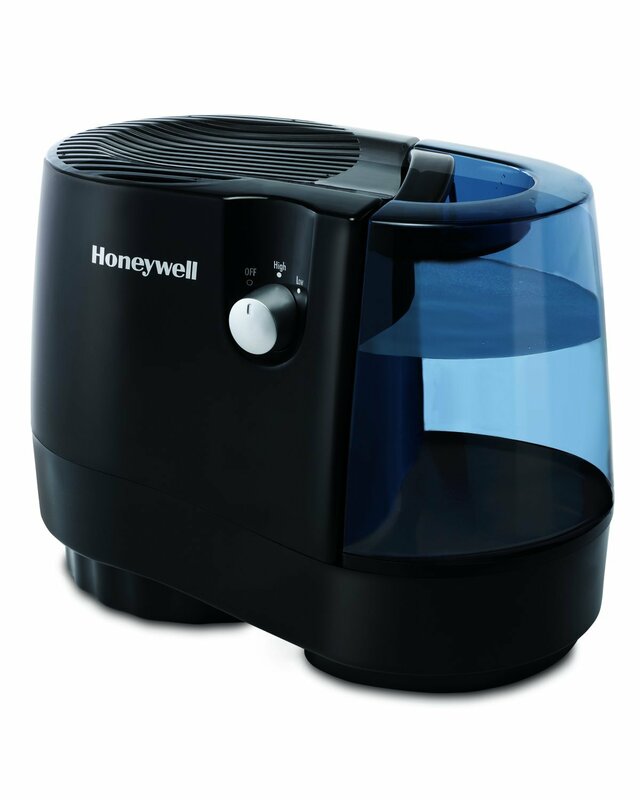 This powerful humidifier offers a whole-home solution, thanks to its coverage area of up to 2,300 square feet and features air washing technology to help remove dust, dirt and pollen from the air. 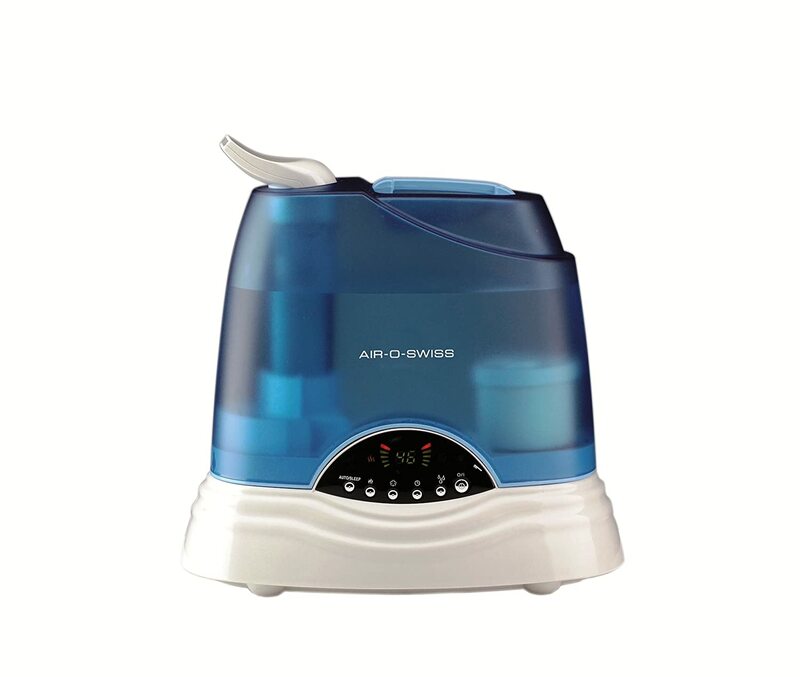 Take your humidifying needs with you on the go thanks to this compact, portable unit. 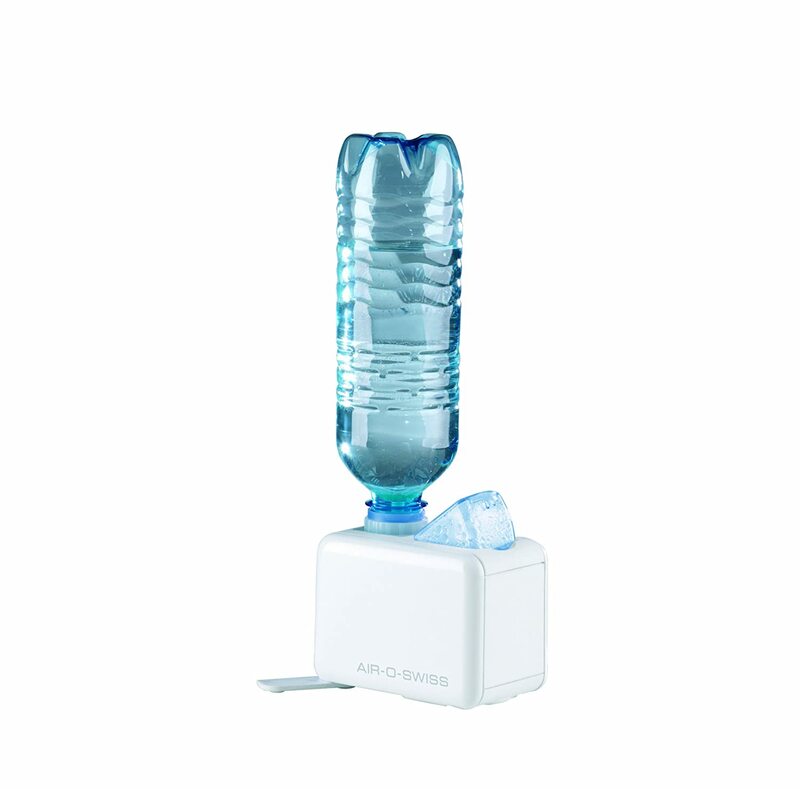 Simply add a water bottle to the humidifier and you’re good to go. 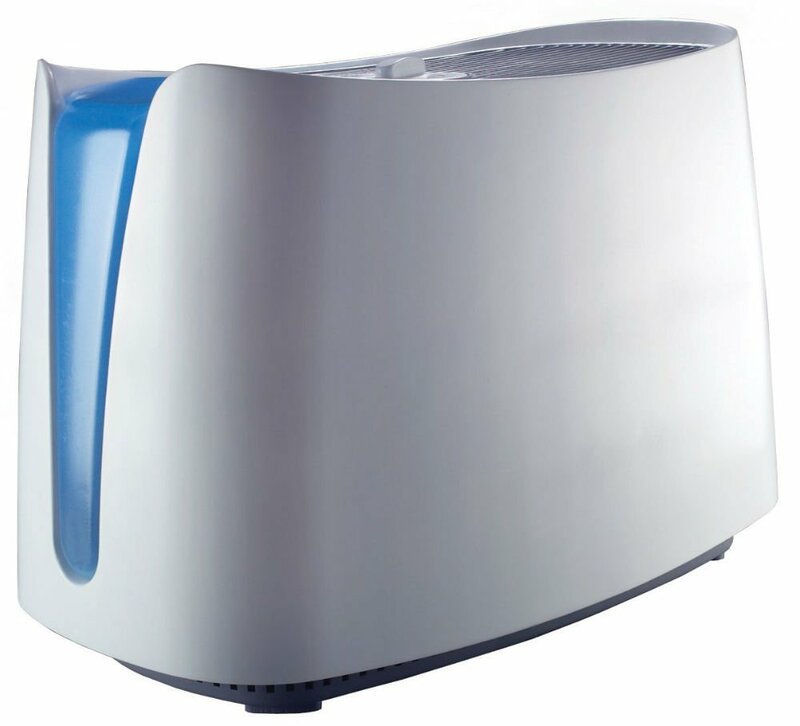 This sleek designed humidifier features silver clean technology which helps to prevent the growth and buildup of fungal and mold growth in the water tank. Choose from two settings to help create soothing air. 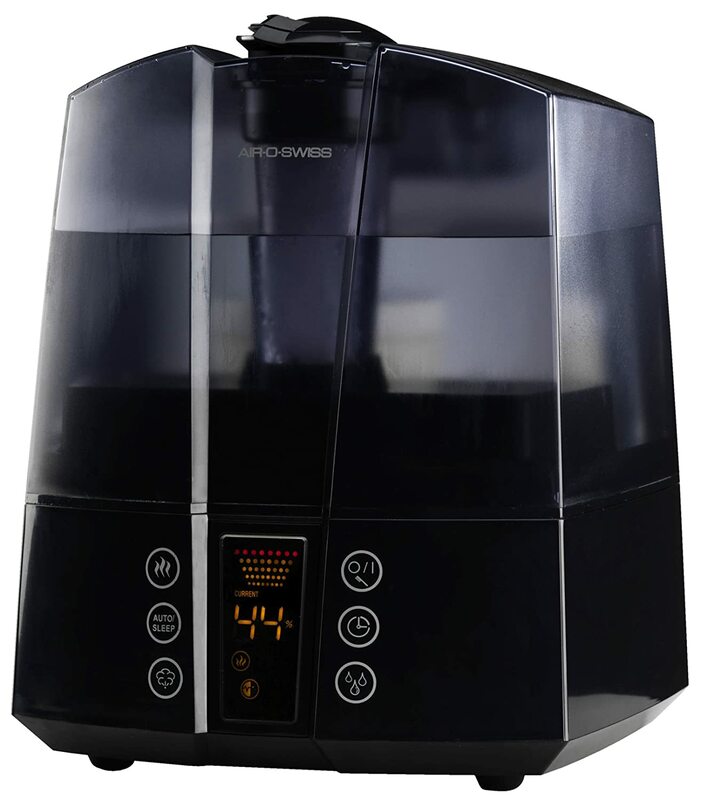 One fill of this humidifier gives you up to 18 hours of whisper-quiet operation, and will automatically shut off if the unit runs out of water. 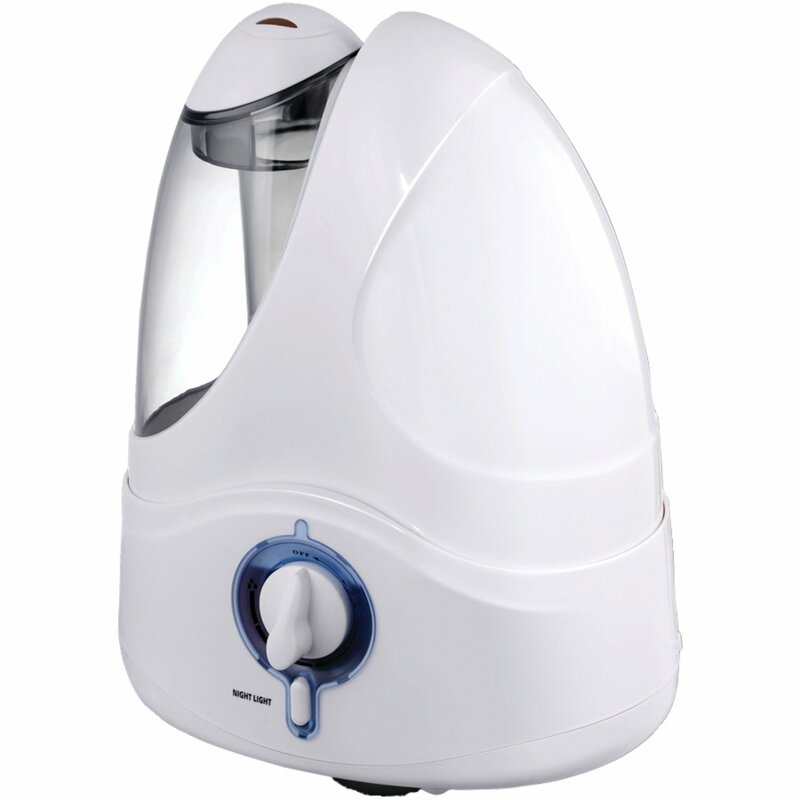 This humidifier is ideal for small spaces like bedrooms and with whisper-quiet operation, it will easily run overnight on a single fill. 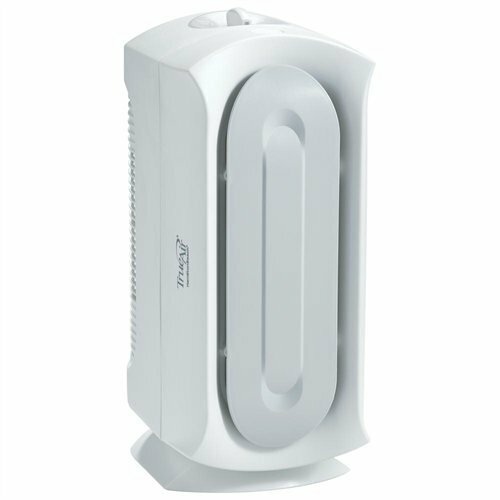 An ideal size for your family’s bedrooms or main living areas, this unit features a patented UV chamber to help kill up to 99.999% of bacteria, mold and spores to make the air you breathe cleaner and healthier. 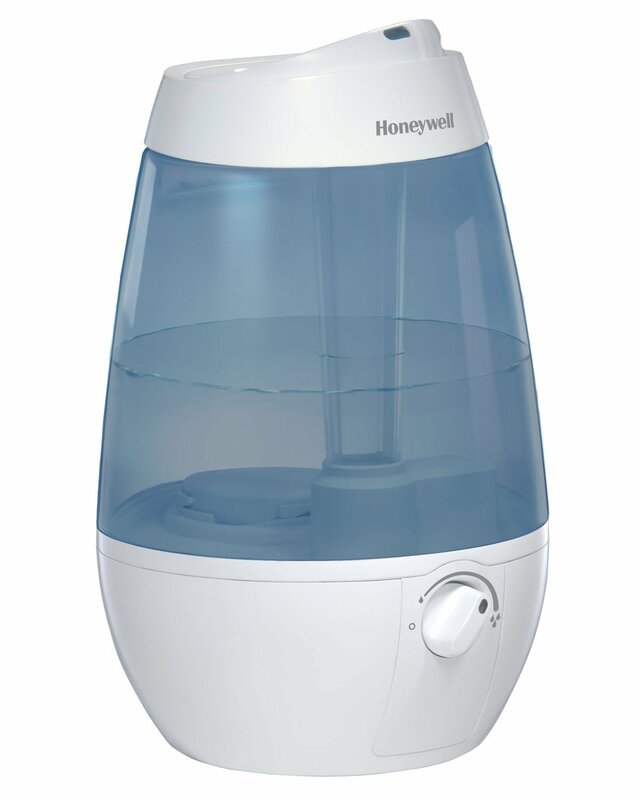 This sleek, compact-designed humidifier is sturdy enough to add moisture to medium-sized rooms and features an automatic shut off for when the unit runs out of water. 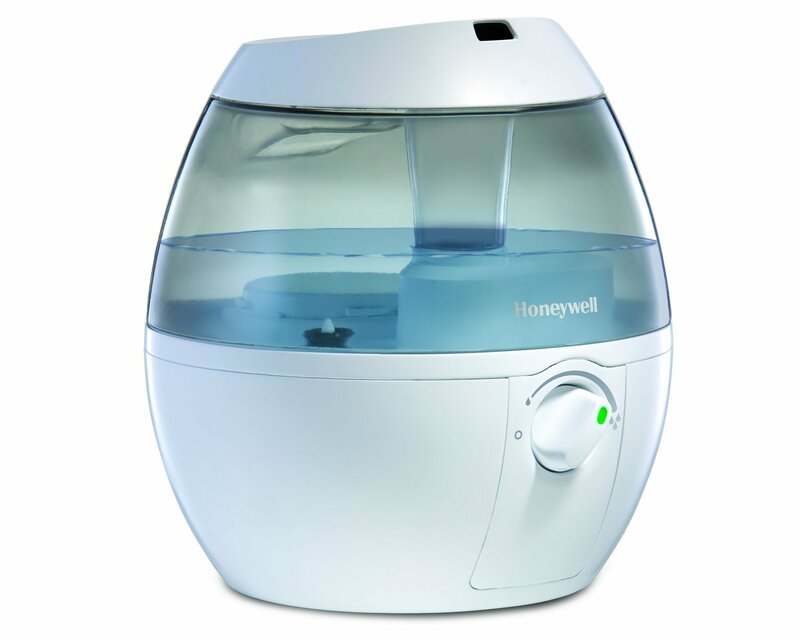 This dual-mist ultrasonic humidifier is virtually silent as it disperses warm or cool mist in rooms up to 500 square feet in size. Thanks to its two adjustable 360-degree nozzles, it provides even broader coverage than many other models. 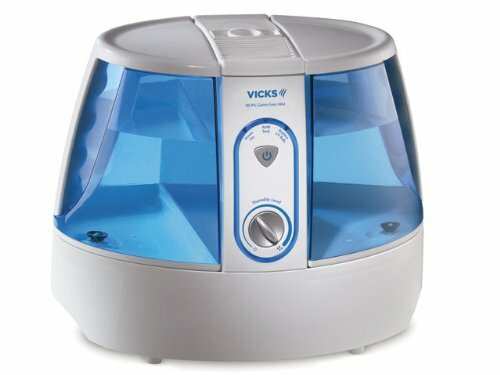 This small, economically-priced unit is an ideal choice for bedrooms and features a medicine cup so you can optionally use any Vicks vaposteam or Kaz inhalant to help create more soothing air. 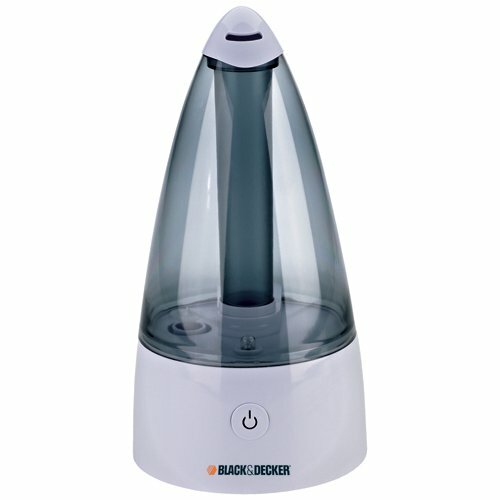 This powerful humidifier packs enough punch to easily add moisture into rooms up to 700 square feet and is available in black or white to easily blend into your home’s decor. 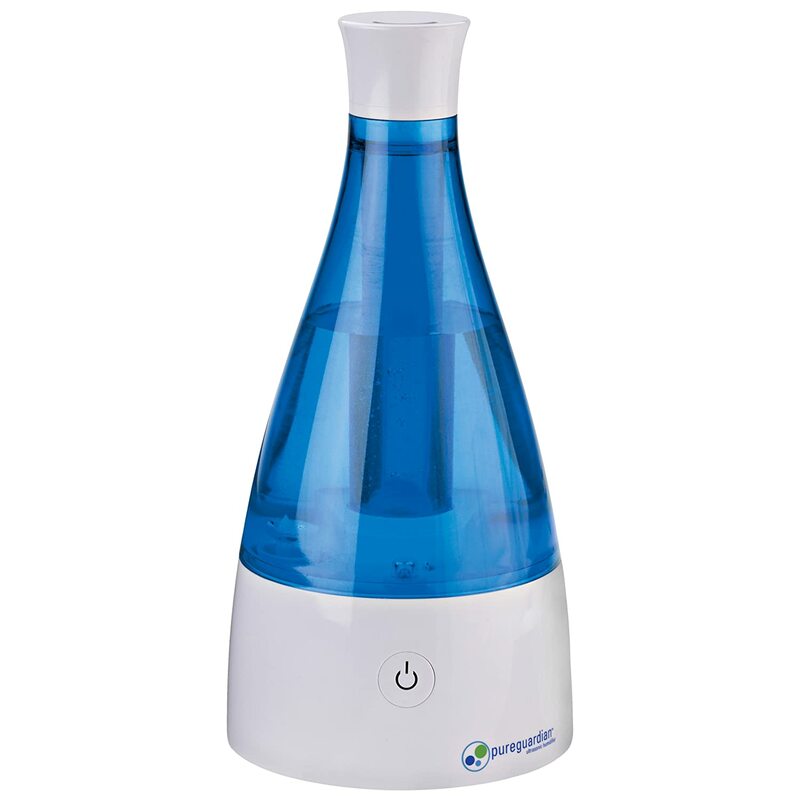 This ultrasonic cool mist humidifier goes up to 18 hours between refills and features an automatic off function when the water level gets too low. 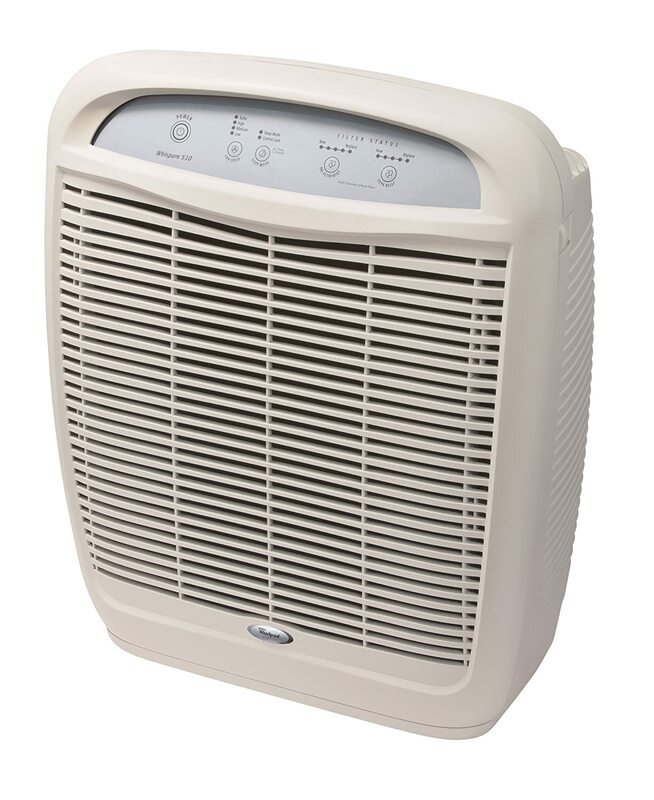 This powerful unit can add soothing moisture back into the air for your entire home thanks to its 2,500 square foot coverage range. And due to its built-in digital humidistat, it will easily maintain your desired humidity level automatically. 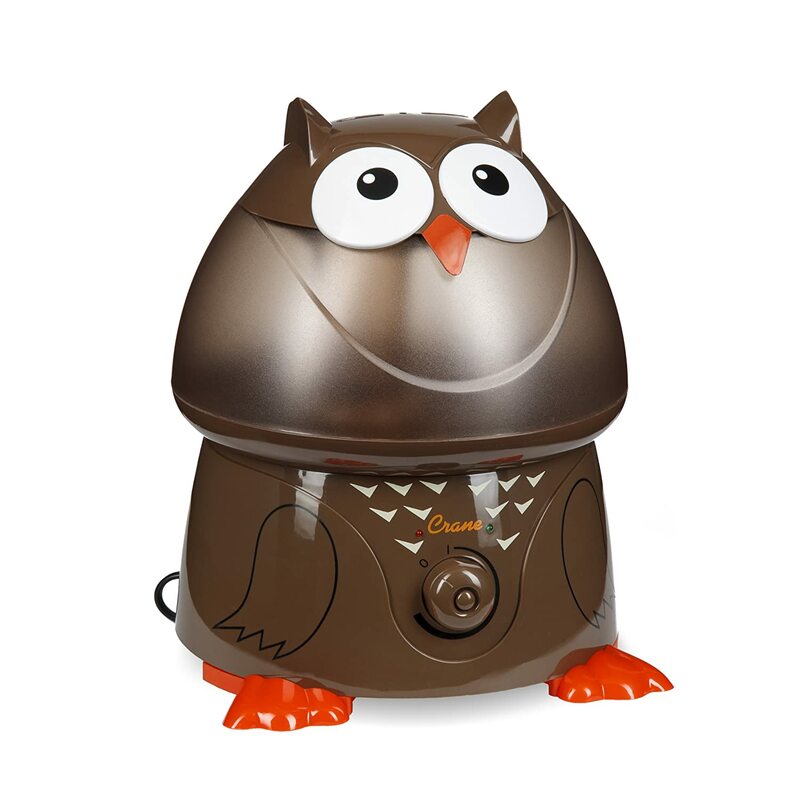 This super cute humidifier is a sweet addition to your child’s room, while providing comforting and soothing cool mist back into the air and requires no filter to get started. 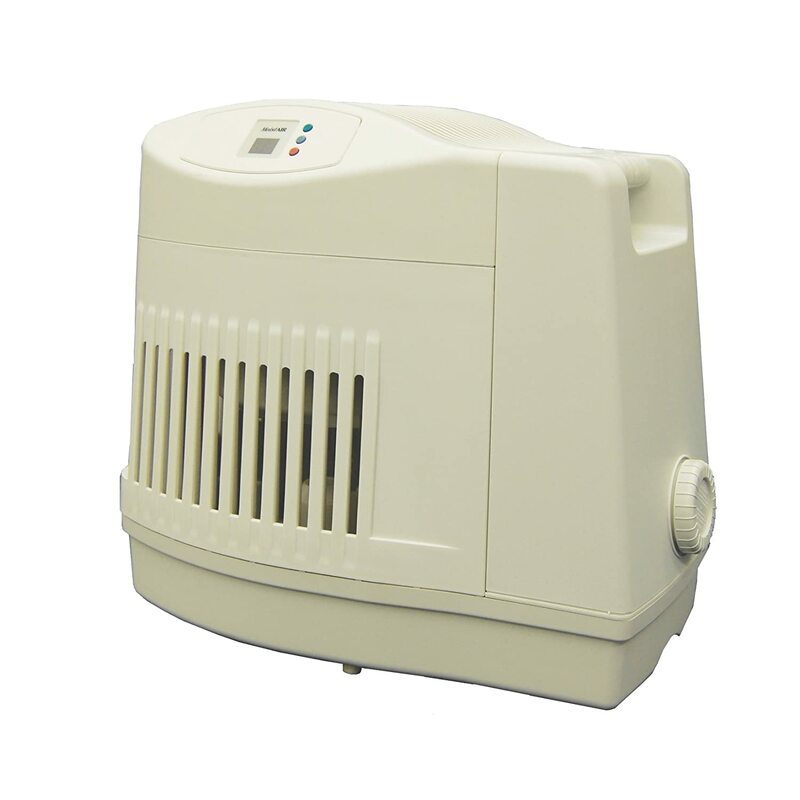 Available in four color choices to suit your home’s decor, this humidifier is ideal for small-sized rooms and features an automatic shut off to help keep your family safe. 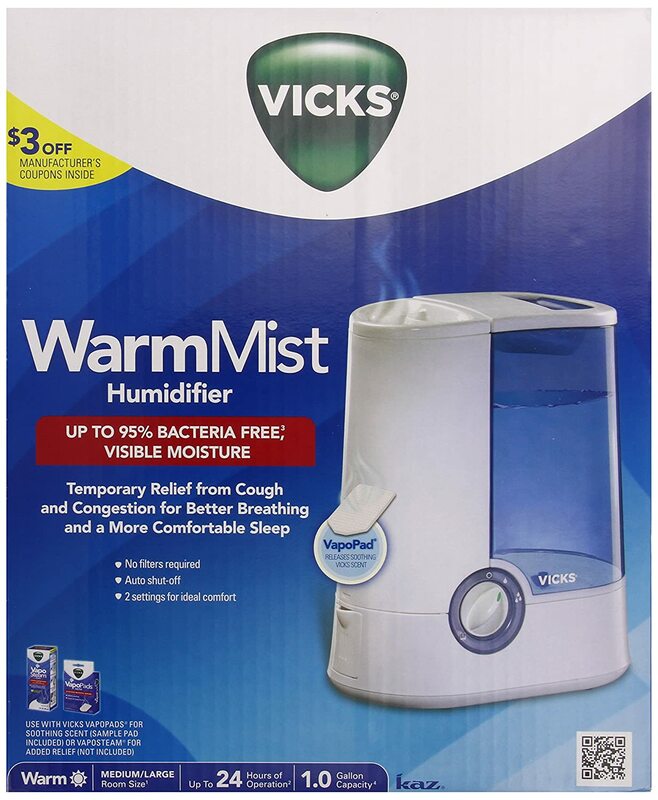 This warm mist humidifier can help provide temporary relief from dry skin, cough, colds and congestion and has the option of adding a scent pad to be used with Vicks VapoPads or VapoSteam for additional soothing relief. 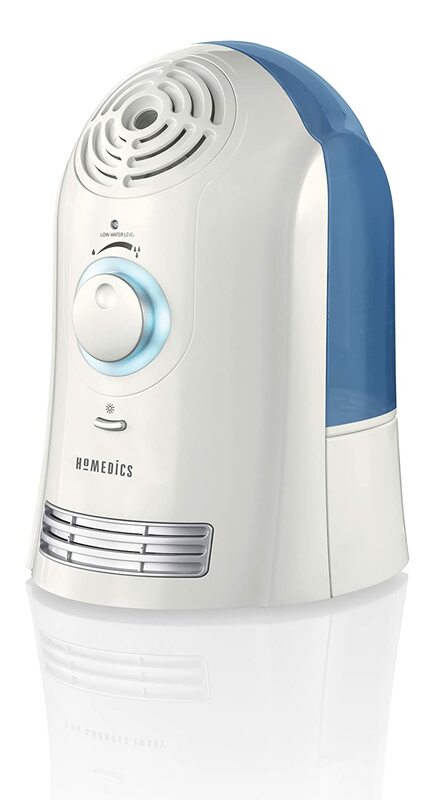 This beautifully-designed unit features seven auto-changing colors and adjustable mist controls to help you breathe easier. Option to add fragrance lets you experience an at-home aromatherapy solution. 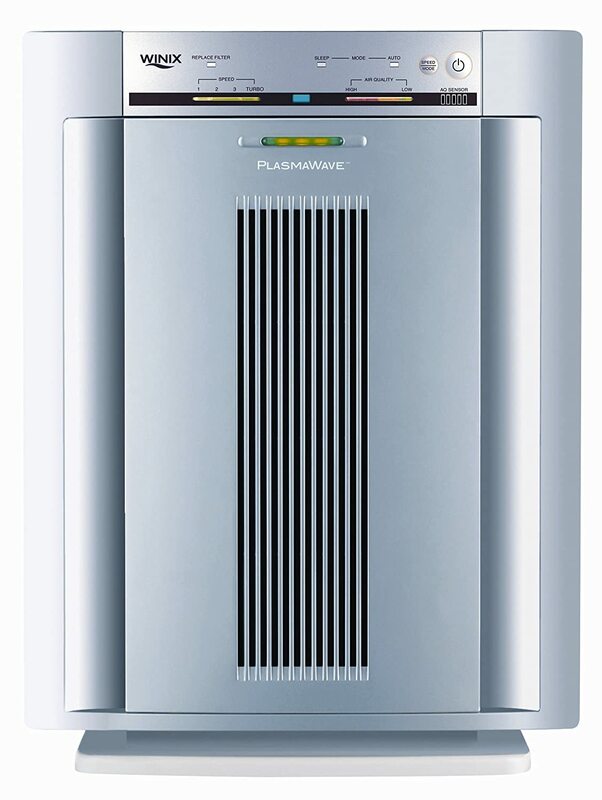 This modern, compact unit is powerful enough to provide cool or warm mist coverage for rooms up to 650 square feet and comes with a demineralization cartridge and hydro cell to help prolong the unit’s life. This table top unit requires no filters and is ideal for small spaces like bedrooms or home offices to help add soothing moisture back into the air. 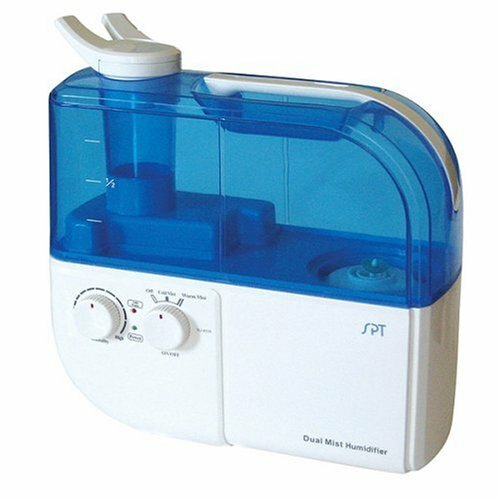 Available in three color options, this cool mist humidifier helps to effectively relieve cough and congestion naturally and features a quiet operation for use overnight. 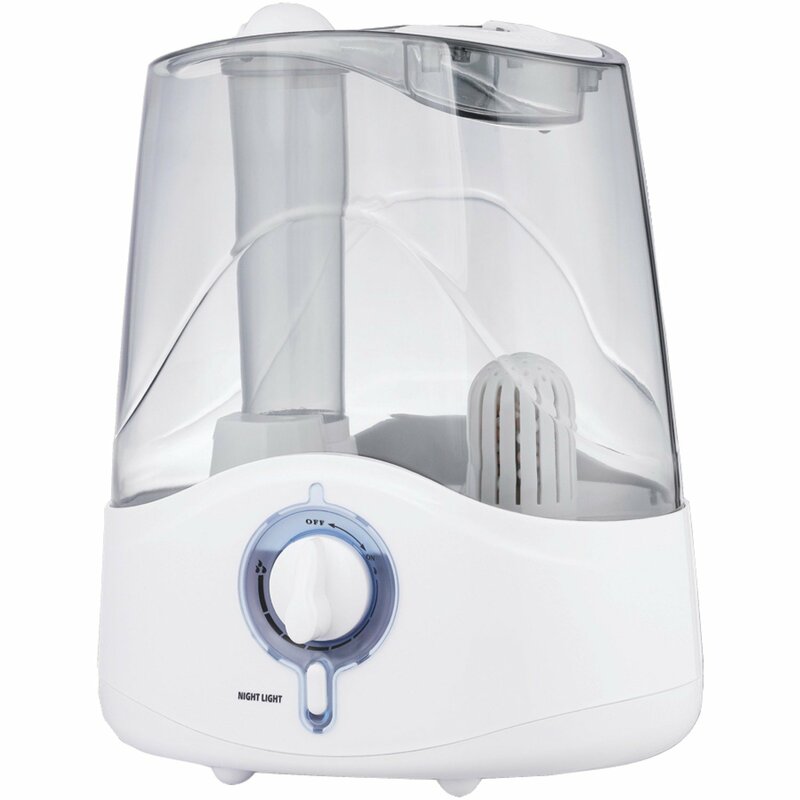 This cool mist humidifier features ultra-quiet operation and an easy-to-remove and fill tank to help keep your family comfortable and healthy. Thanks to its clean mist anti-microbial technology, it helps prevent the growth of molds and mildews on the tank.